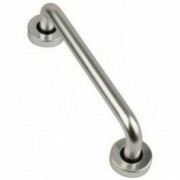 Hoppe Arrone Pull Handle Concealed Face Screw Fixing with Covered Roses SAA 19mm dia, 65mm projection Fixing Centre Lengths 150mm 225mm 300mm 425mm Rose 52x12mm Pull Handles that have a length of 400mm and above meet the dimensional recommendations of BS8300 and Approved Document M ..
Hoppe Arrone Bathroom Turn & Emergency Release with Red/White Indicator SAA for use with a bathroom lock 2 point screw fixing on nylon inner rose with concealed fixing outer cover plate 52x8mm 5mm Spindle ..
DIN Standard Architectural Mortice Bathroom Lock. 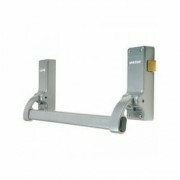 SSS Square Forend & Strike Plate. 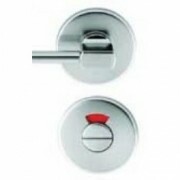 78mm centres, 60mm backset, 235x24mm faceplate 165x8mm black powder coated case, with holes to accept bolt through furniture fixings 38mm centres BS EN12209:2003, CE Marked C..
Hoppe Arrone Large Disabled Turn & Emergency Release with Red/White Indicator SAA for use with Arrone DDA Mortice Bathroom Lock 52x8mm 5mm Spindle ..
Hoppe Arrone Euro Profile Escutcheon SAA 2 point screw fixing on nylon internal rose with concealed fixing aluminium outer rose 52x8mm ..
Hoppe Arrone Lever Key Escutcheons SAA (To suit 2 lever, 3 lever or 5 lever locks) 2 point screw fixing nylon inner rose with concealed fixing aluminium outer rose 52x8mm ..
Arrone Mortice Bathroom Lock with 5mm Follower, 57mm centres and 156x25mm square end faceplate Available 63mm case with 44mm backset or 76mm case with 57mm backset BS EN 12209:2003 CE Marked Included in a successful fire test to BS EN1634 Part 1:2000, for use on a 1 hour fire door ..
Hoppe Arrone Oval Profile Escutcheon SAA 52x8mm 2 point screw fixing nylon inner rose with concealed fixing aluminium outer rose ..
Panic bolt and Latch set for Double rebated doors Silver . 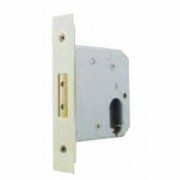 When the horizontal bar is pressed the vertical bolts are retracted or the latch is retracted and the door can open. 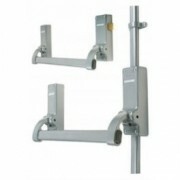 Each single leaf up to 2440mm high x 1220mm wide BS EN1125 Suitable for use in open public areas CE Marked Inclu..
A panic bolt offers enhanced security over a basic panic latch as the door is secured top and bottom by two bolts. 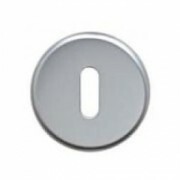 When the bar is pressed the bolts are retracted and the door can open. 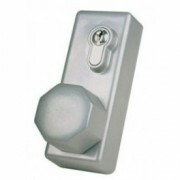 Silver finish Suitable for a single leaf door or a pair of double doors with plain meeting stiles (1 bolt per l.. 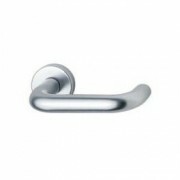 Door Knob in Silver for Fitting to the outside of panic doors. 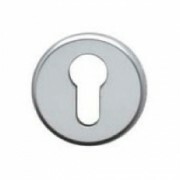 The Euro profile cylinder, which can be keyed as part of the Master key system, unlocks the door to allow the knob to operate the bolt or latch on the inside of the door.CE Kite Marked and ApprovedFire Tested to BS EN 1634Supplied..
For Fitting to the outside of panic doors. 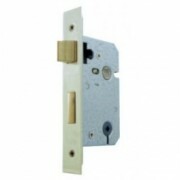 The Euro profile cylinder, which can be keyed as part of the Master key system, unlocks the door to allow the pull pad to operate the bolt or latch on the inside of the door.CE Kite Marked and ApprovedFire Tested to BS EN 1634Supplied with 8mm spindle - 9..
Hoppe Arrone Paris Series Lever Handles on Backplates SAA 155x40x10mm plate 143x19mm dia lever Available Lever Lock (57mm centres), Euro Lock (47.6mm centres, Oval Lock (48.5mm centres), Bathroom (57mm centres) and Latch Supplied c/w bolt through fixings Suitable for doors ..
Hoppe Arrone Paris Series Return to Door Round Rose Lever Handles SAA 146mmx19mm dia lever on 52mmx6mm dia rose. 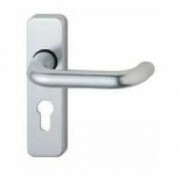 Supplied with both bolt through fixings and woodscrew fixings and 105mm full profile spindle Suitable for doors 40-47mm thick and 30 minute or 60 minute fire doors BS EN1906 and ..
Hoppe Arrone Pull Handle Bolt Through Fix SAA 19mm dia and 60mm projection Bolt Fixing Centre Lengths 150mm 225mm 300mm 425mm Pull handles with a length of 400mm and above meet the dimensional recommendations of BS8300 and Approved Document M ..
A single Bar type panic latch in Silver fitted to either a left hand or right hand hinged door.This type of Escape Hardware is for public buildings, schools and hotels, and will open a single outward opening door. CE Kite Marked and ApprovedFire Tested to BS EN 1634. 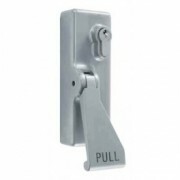 Maximum Door width 1220mm ..
A single Pad type panic latch in Silver fitted to either a left hand or right hand hinged door.This type of Escape Hardware is for buildings where occupants are trained in Fire Escape and not for use in open public buildings. 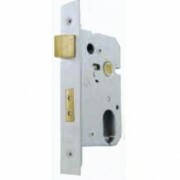 It will open a single outward opening door, which can be rebated.CE Kite..
Hoppe Arrone Mortice Deadlock Case to suit oval profile cylinders. 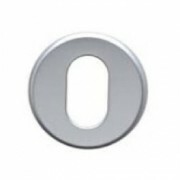 BS EN12209 CE Marked. 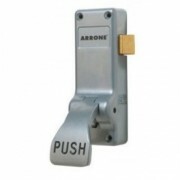 Pol Brass Forend & Strike Plate Available in 2 sizes 63mm or 76mm ..
Hoppe Arrone Mortice Deadlock Case to suit oval profile cylinders. 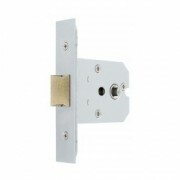 BS EN12209 CE Marked Satin Chrome Forend & Strike Plate Available in 2 sizes 63mm or 76mm ..
Hoppe Arrone Mortice Sashlock Case to suit oval profile cylinders. BS EN12209 CE Marked. 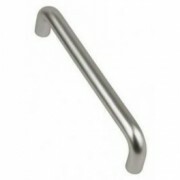 Satin Chrome Forend & Strike Plate. 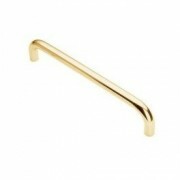 Available in 2 sizes 63mm or 76mm ..
Polished brass with tapped holes for a bolt through fixings (supplied). 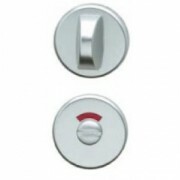 These pull handles should be fixed to solid doors and the bolts covered with a fingerplate. Sizes 225x19mm 300x19mm ..
Arrone Square Case Mortice Latch. 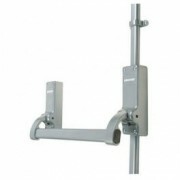 2 way action suitable for use with levers/unsprung knobs. Satin finish forend & strike 63mm ..